We've been completely overwhelmed with the response that CRAYON has received and we are truly appreciative of all the positive comments you've sent us. We don't mean to brag, but here's a history of CRAYON's awards, announcements, and publicity. April 2: "Web Site of the Week"
April 18: Netscape's "What's Cool"
May 10: Albany Times Union - "Cool Website of the Week"
May 14: John Byczkowski's (syndicated Cincinnati Enquirer writer) column - cited in The Cincinnati Enquirer, Cincinnati, OH. May 28: Dave Farrell's (syndicated Detroit News writer) column - cited in The Concord Monitor, Concord, NH. June 22: James Derk's (syndicated Evnasville Courier writer) column - cited in The South Bend Tribune, South Bend, IN. January, 1996: NetGuide Magazine, p. 134. 4-star rating. January 15: Mr. Media - "Forest Green"
January 25: The Daily Northwestern's WebExtra - "CRAYON delivers the future of newspapers"
March 11: Web Pioneer "FamilyClick of the Week"
July 15: WebPointers Revew - "Organizing Your Files? Get Out the Crayon!" August: The Virginian-Pilot (We're the " Northern Virginia Internet-services company" and the page is our Cool Cool Site of the Day of the Day). September 2: Mr. Media - Lookin' for something cool. "Fueled by the enormous growth of the Web and the steadily rising cost of paper, the future of daily newspapers has been a hot topic lately. Consequently, editors have been rushing to adapt their newspapers to the Internet. For the most part, though, Web editions of the dailies simply mirror their print cousins. Enter Crayon. This ambitious site allows the online media junkie to customize his own personal newspaper. By providing a host of news-related links, Crayon places U.S. and local news, weather, business, sports, arts, entertainment and even the comics, at one's fingertips. And by keeping resources as diverse as the Associated Press news wire and ex-MTV VJ Adam Curry's Guide to Cybersleaze in one convenient place, Crayon makes the wealth of information drifting through cyberspace personable, and more importantly, manageable." Spring 1999: NetSchools Resources for Special Education Teachers - Top Special education web site. 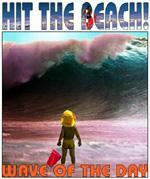 Summer 2000: Community Newspaper Publishers - Cool web site, "noteworthy site for your surfing pleasure". September 2000: Library of Congress - Top Personalized News Resource. Please mail us if you've seen CRAYON mentioned somewhere else.